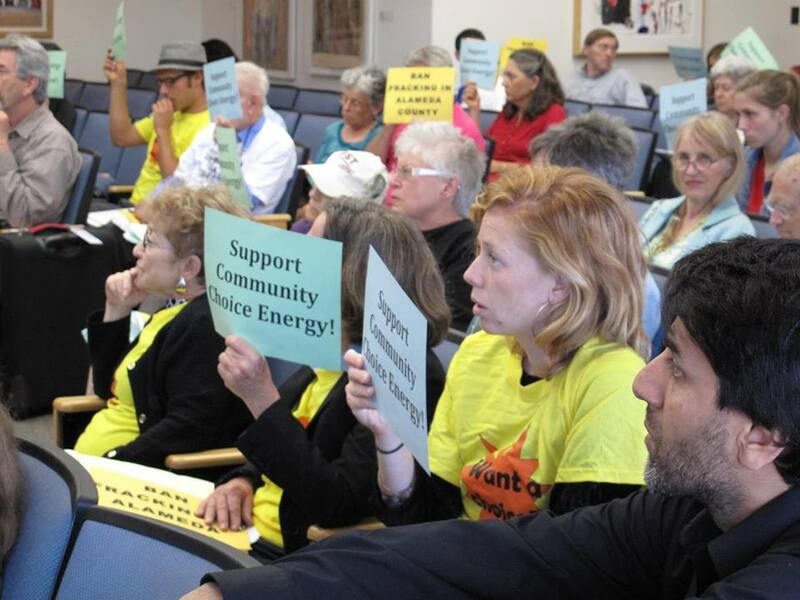 On Tuesday, June 3, 2014, the Alameda County Board of Supervisors voted to take the first steps in establishing an East Bay Community Choice energy program, approving $1.3 million in funding for an exploratory phase. These supporters included members of the Clean Energy & Jobs Oakland Campaign of the Oakland Climate Action Coalition, the Community Choice Working Group of the Berkeley Climate Action Coalition, Sierra Club Bay Chapter, Organizing for Action, and other organizations that have been supporting formation of an East Bay Community Choice program. The exploratory phase approved by the Supervisors consists of performing a feasibility study and conducting outreach meetings with communities throughout Alameda County. Depending on the outcome of the feasibility study the Supervisors could then vote to move forward to begin the process of setting up an agency and designing the program. Speakers pointed out the benefits of a community choice program, including the potential to develop local renewable resources, thereby creating good clean energy jobs and reducing local greenhouse gas emissions and air pollution. While the crowd clearly was excited by the outcome of the Supervisors’ vote, the proceedings were overshadowed by prospects of passage of by the California legislature of AB 2145, which would make the development of new community choice programs virtually impossible.